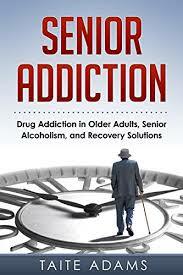 Elderly people and teenagers are most vulnerable to an Addiction to Prescription Medications. Addiction to Prescription Medications research papers have been written by our sociology experts. Below is a project that was written by one of our writers. We will produce a custom written paper following your guidelines. Not all individuals who are prescribed medication become addicts; however, there has been a growing volume of prescription medication abuse as of late. The combination of physical and psychological tolerance as well as the relative ease of obtaining prescription medications and psychoactive drugs when compared to illicit street drugs is, perhaps, the greatest factor in the transition from dependence upon a medication to addiction and abuse. Particularly susceptible to prescription drug abuse are the elderly who may not fully understand correct dosage instructions and young women who tend to visit doctors more regularly for minor ailments or for pain management. Also highly vulnerable to abuse are individuals, often teenagers, who are prone to experimentation and try drugs to fit in with a particular crowd. The widespread fervor of physicians who are quick to write prescriptions complicates matters. In many cases, physicians are either too overloaded with work, inexperienced, or simply too lazy to spend adequate time ascertaining a correct diagnosis that leads to effective substance abuse counseling. Subsequently, it becomes much easier to appease the patient with a prescription. It is not surprising that anti-depressants and anti-anxiety medications are, along with painkillers, the most widely-abused types of pharmaceuticals. Unfortunately, over-reliance upon prescription medications creates both physical and psychological tolerance and, in many cases, can exacerbate the initial problem or create severe withdrawal symptoms once the patient’s supply runs out and refills are disallowed. Purchasing prescriptions on the black market or from foreign pharmacies is also on the rise, presumably due to these factors. In the adult population, prescription substance abuse is becoming increasingly common. This can take the form of consuming too many of a legally-prescribed drug or acquiring prescription drugs illegally. There are various classes of prescription drugs that are abused. Some of these drugs are commonly sold illegally and have acquired their own street names; others are used in the creation of harder, even more addictive drugs. While steps have been taken to curb the abuse of prescription medications, this is increasingly difficult to do. 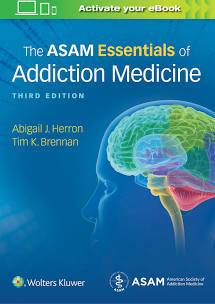 Patients with seemingly legitimate medical needs understand the street value of these drugs and perpetuate the illegal selling; individuals with addictions have devised ways to get around the safeguards and checks and balances within the medical system, and are often able to acquire the drugs they need with relative ease. The drug problem in our society is no longer restricted to dark alleys and imported substances; any person with a medicine cabinet is capable of participating in this element of the drug trade, and the cycle of addiction is only allowed to perpetuate in spite of organizations like drugfree.org. Paper Masters writes custom research papers on Addiction to Prescription Medications and examines who most commonly gets addicted and how easy it is to become addicted to prescription drugs.